Jacob is one of three talented young American students who received a scholarship for his outstanding academic achievements. He was born and raised in Alaska and is currently enrolled in a one year masters program of Entrepreneurship at Lund University. Jacob, you have traveled a long way. What made you leave Alaska to obtain a masters degree in Sweden? -I did a lot of researching for my masters studies and I found that Lund University offers the best combination of a great academic tradition, culture and history with modern and innovative ways of thinking and up to date research and development resources. Furthermore, the Entrepreneurial program looked amazing, not anything like any other masters programs I have read about! 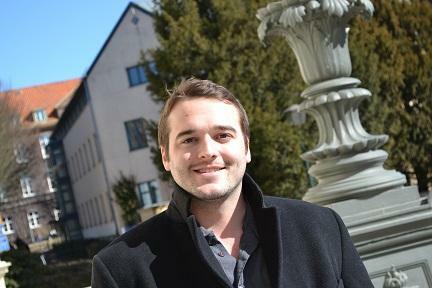 Lund University have an extensive variety of Masters Programs, so why entrepreneurship? -Well, with previous experiences from the fishing industry in Alaska and managing hostels in Panama I have worked with small businesses in an entrepreneurial setting. These experiences combined made me interested in starting my own company. The Entrepreneurship masters gives me the tools and resources to do so. Furthermore, when reading about the program I found that Lund University has a great support for this masters, and we are currently collaborating with other faculties and exchanging experience and knowledge, it is very rewarding. Ideon and Venture Lab are two organizations at the campus of Lund University supporting and working closely with start-up companies from the University. -As part of the Entrepreneurship program I will actually realize my business plan and start my own business at the end of the program. As my visa expires when I graduate I will move back to the US with my knowledge, start up my company and work to commercialize my business idea there. So you have already an idea of what type of business you want to start? -Yes, I do… (Jacob smiles…)My business will be working with fishing, to direct market wild Alaskan salmon, a healthier and better product, to the Scandinavian market. There is nothing like Alaskan salmon. Could you describe in what way this scholarship, from Sten K. Jonson, has affected your life? -It has a great impact on my life. Without this scholarship I would never have been able to start my masters. I would have had to postpone it for some years… Thanks to this scholarship and this master program it has given me a lot more options in life and for my future. I am very grateful and in many ways this opportunity has changed my life! The American-Swedish Scholarship Fund targets top academic students from all over the U.S. with an aim to study at Lund University. Lund University Foundation’s current main focus is to further expand the American-Swedish scholarship fund to support American students at Lund University with their tuition fees. Non EU students are today required to pay tuition fees at Swedish universities.